Known as home of the United Nations Economic Commission for Africa, the Africa Hall is located in the area called as Arada. 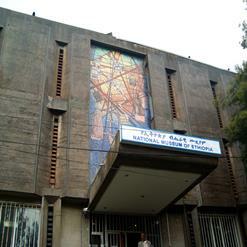 This organization was established in 1958 and Addis Ababa was chosen as its’ headquarter. It is considered as the most important building in Addis Ababa as a lot of African leaders have taken decisions here, which changed the future of Africa.